Donner was one of the top players in the Netherlands for years and for a while was one of the world’s top ranked players. I don’t own this book but did read it some time back in the hardback edition. It has been reprinted in a paperback edition which, fortunately, is longer than the original. 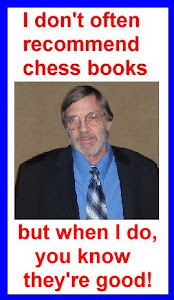 The book is mostly a collection of articles covering just about anything on chess you can think of. Donner wasn’t shy about voicing his (sometimes radical) political views and he had, like everybody, his views on Bobby Fischer. Donner admitted Fischer’s behavior was bad and his decisions often were wrong, but for the most part he was right in his fights with FIDE. The book was enjoyable, but I have to admit that sometimes Donner tended to be wordy…no, call it a printed version of, “he never shuts up.” On occasion he spends forever saying something that he could have said in a lot fewer words, but I never doubted his enthusiasm. Sometimes he got a little nasty in commenting on certain individuals too and on occasion he doesn’t give you enough information to know what he was writing about. In the style of Purdy’s book, The Search for Chess Perfection, Donner’s book is actually a series of articles in chronological order but there wasn’t an index. You won’t learn anything about how to play better chess from this book, but it is a great read if you enjoy reading about chess and chess players.